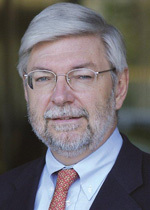 Henri Bogaert has been Director of the Belgian Federal Planning Bureau (“Commissaire au Plan”) since 1993. Mr. Bogaert is also a member (and former chairman) of the Economic Policy Committee of the European Union, where he chairs the EU Working Group on Ageing Population, Deputy Chairman of the OECD Economic Policy Committee, and a professor at Namur University in Belgium. After studying economics at Namur University, Mr Bogaert started his professional career at the Federal Planning Bureau, where he was a member of the team in charge of macro-economic analysis and forecasting. From 1989 to 1990, he helped establish ADE, a company specialised in conducting economic studies. From 1990 to 1992, he was appointed Deputy Director of the Economic Advisers to the Prime Minister.